This isn’t my original idea, but I’ve build dozens of these combination bench and picnic tables. The bench back folds up quickly to produce a small table. Two of these combine to form a full-size picnic table! A fun and simple project that uses basic tools. You can build one (or two) in just a few hours! It’s a table! No, it’s a bench! It’s a bench! No, it’s a table! 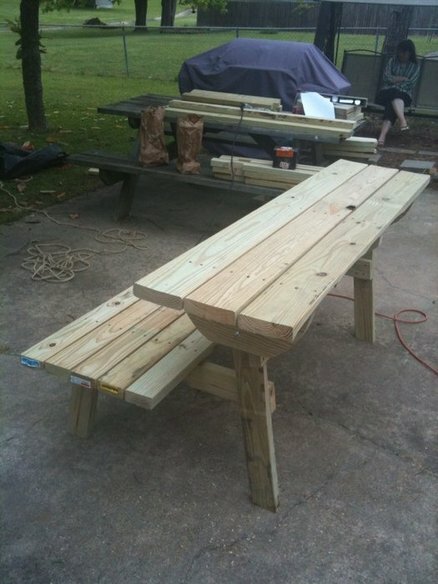 Be the first to comment on "Combo Bench and Picnic Table"
Sharing the craftsmanship of fine woodworking.